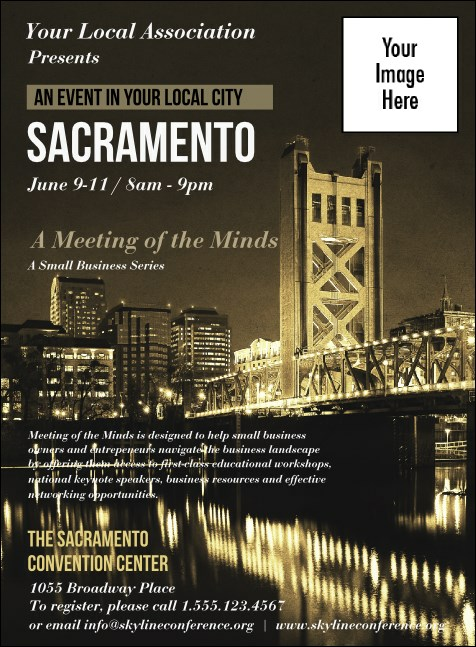 Create a Sac-Town event to remember with the Sacramento Invitation. Printed on high quality card stock, this invitation template includes room for one custom image and space for your event details, with the Tower Bridge and dazzling city skyline. Need more promotional materials for your Capital events? Pair it with a Matching Event Kit for easy planning! TicketPrinting.com will help you find the right invitation for your event in America's Most Diverse City!